This heat sensitive adhesive batting is perfect for all of your sewing needs! Batting includes a heat-sensitive adhesive on both sides that creates a formulated stabilizing bond to any fabric. 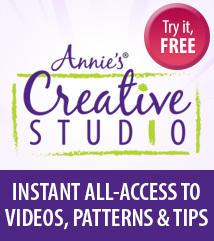 Use in creating quilts, soft sculptures, garments, handbags, crafts and accessories. Washable and dryable. 2 1/4" x 20-yd roll. Place batting on the fabric to be fused. Fuse - Cover with a damp press cloth. Set iron on low/permpress setting. Press firmly for 10-12 seconds. Repeat, lifting and slightly overlapping iron until all interfacing is fused.